Cow leather; foam protectors ; anti-slip materials on palm side; sweat absorbing inner lining; extended wrist guard with roller buckle fastener with hook & loop closure; flame retardant materials on request. Model I: Roller buckle fastener with hook & loop closure. Model II: Fastening by elastic wristband with hook & loop closure. 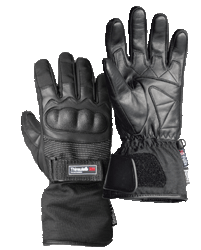 Model III: Roller buckle fastener with hook & loop closure; additional anti-slip material on fingers. 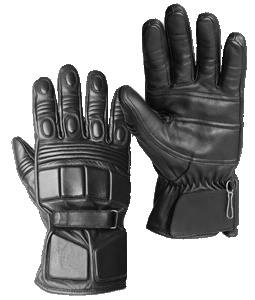 Combat Riot cow leather glove with certified hard shell protector. On the palm with digital leather for excellent grip. Shock absorbing protectors (foam and jelly) on fingers, Thumb and wrist. Cut resistant insert level 5 according to DIN EN 388. Also as complete flame retardant version available. 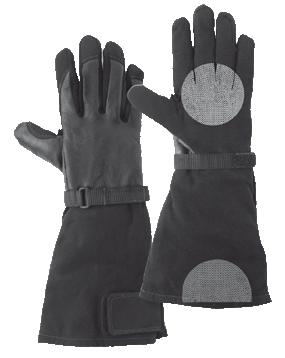 Cow leather with different foam protectors on fingers, knuckles, hand back; flexible handling with soft feeling; extended cuff with foam protectors; sweat absorbing inner lining; elastic band closing with additional leather strap, hook & loop closure. Cow leather with hard shell and foam protectors; anti-slip material on palm; high abrasion; sweat absorbing inner lining; elastic band closing at wrist. 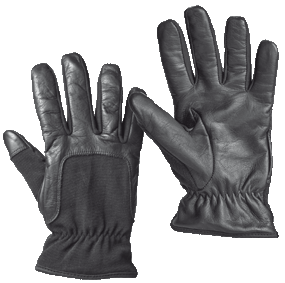 Cow leather with foam protectors on knuckles, hand back and fingers; velours/ synthetic leather on palm; leather band with hook & loop closure; cut resistant insert level 5 according to DIN/EN 388; flame retardant materials on request. Cow leather; short cuff; high comfort; cut resistant insert level 5 according to DIN/EN 388; flame retardant version on request. 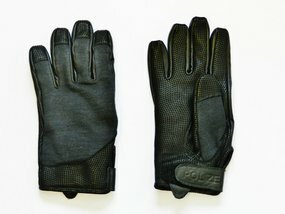 Textile glove with elastic materials; reinforcement between thumb and forefinger; short cuff; soft feeling; good sensitivity; reinforcement and additional material on palm; fleece fabric for cleaning visor/glasses; webbing strap closure with hook & loop; cut resistant insert level 5 according to DIN/EN 388. 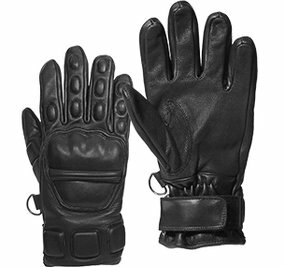 Cow leather with elastic materials on back of hand; short cuff; high comfort; cut resistant insert level 5 according to DIN/EN 388. 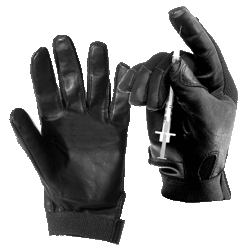 High quality searcher glove with needle protection; cow leather with elastic material; short cuff; soft feeling; elastic band closure with additional strap hook & loop closure; cut resistant inner lining according to DIN/EN 388. 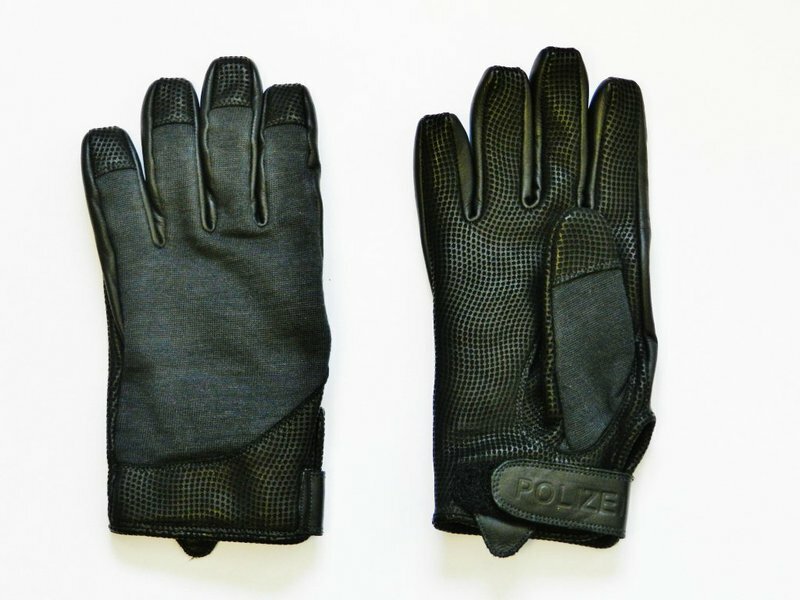 Designed to protect against attacks with knives, scissors, broken glass and all kinds of sharp items; stainless steel mesh inside; very high level of cut-resistance according to DIN/EN 1082; cow leather with flame retardant materials including inside lining; buckle fastener with hook & loop closure; with/without elastic band at wrist; production according to DIN/EN 388/407/420. Stainless steel mesh on palm, back of hand and cuff. Stainless steel mesh on palm. Stainless steel mesh on palm and back of hand. Stainless steel mesh on palm, back of hand and hand edges (completely around the hand). 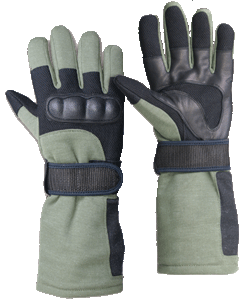 Tactical glove with extended wrist cuff; flame retardant material in combination with elastic components; soft feeling, good sensitivity; additional material on palm; knuckle protectors; textile strap closing with additional hook & loop closure. Nylon fabric, tear-proof; ankle padding; gripping surface cow nappa leather; HIPORA® membrane; Thinsulate® lining; long cuff; webbing strap closure with elastic band hook & loop. High quality suede glove with three needle appliqué chain stitching. 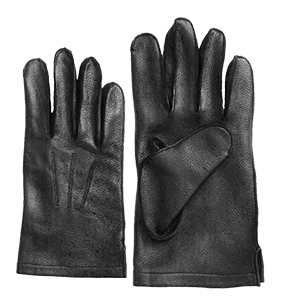 High abrasion resistant doeskin leather free of noxious substances like chromium VI. Wrist closure with latch and Velcro®. 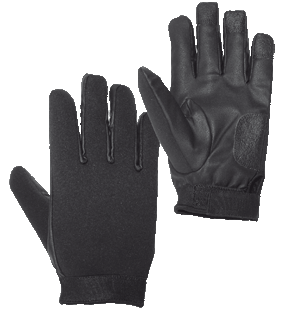 Winter glove with ThinsulateTM and Hipora® membrane; cow leather on palm; neoprene on back of hand; good sensitivity; close fitting; webbing strap closure with hook & loop.